Apple's futuristic 'Campus' HQ will finally open its doors to employees this April under its new name, 'Apple Park', situated in California's Santa Clara Valley. 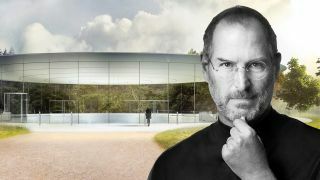 While there's no word yet on whether or not it has a T-Rex, it will have a heartfelt homage to former Apple boss Steve Jobs. Jobs, who helped in the early stages of the site's development, will have the 175-acre campus's 1,000 seater theater named after him. The Park, replacing Apple's current One Infinite Loop base of operations, is fully powered by renewable energy, with its spaceship-like design measuring up at 2.8 million square feet of space. “Steve invested so much of his energy creating and supporting vital, creative environments," added Jony Ive, Apple’s chief design officer. If a job at Apple didn't already seem like a dream, the Apple Park has some great perks or its employees, with a 100,000 square-foot fitness center, apple orchards (obviously) and running paths to explore.